Boss’ Day is a special occasion to say a word of thanks, admiration, respect and affection to your boss, for all the guidance, support and inspiration that he/she might have shown at your workplace. Sending exciting Boss Day gifts would be a fabulous idea to show your gratitude towards him/her. Since your boss is an imperative part of your professional life, buying gifts that would go along with his/her taste would be of utmost importance. Personalized Boss Day gift items for surely serve the purpose. 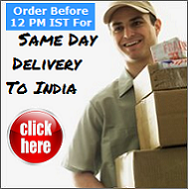 Buying fabulous Boss’ Day gifts online is a hassle free option, to put across your thoughts to your boss. Here at awesomeji.com, you could find an exciting range of gift items for bosses of all age, gender and position. So what are you waiting for? Choose and send Boss Day gifts online from the wide range of amazing presents given below and make the occasion special and memorable for your boss!